A fall in tech valuations may send U.S. and Chinese unicorns running in different directions. Several private Silicon Valley firms worth $1 billion or more have taken valuation hits once they are in the public eye. The same may be happening to one-horned beasts in the People’s Republic, only in private. Take Jack Dorsey’s U.S. online payments outfit, Square. The shares popped enthusiastically on the company’s stock market debut in November, but its market capitalization remains about a third below the $6 billion price tag implied by an earlier private funding round. 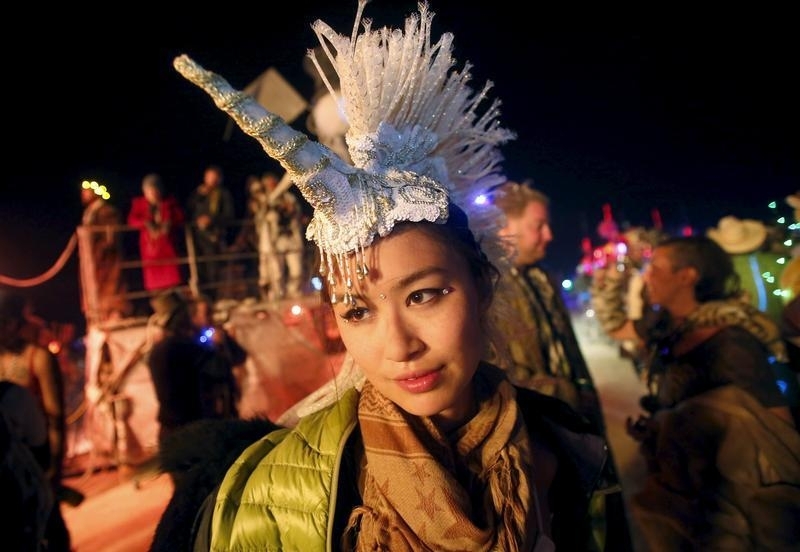 Some unicorns that have yet to go public are already feeling the chill. Fidelity Investments, a prominent investor in late-stage private financings, recently marked down its holding in Snapchat by 25 percent from a headline valuation of $16 billion in May. Super-unicorns such as Uber and Airbnb, valued at roughly $50 billion and $25 billion respectively on the strength of relatively small private fundraising exercises, can still tap Fidelity, T. Rowe Price and others for funds. These investors may be more cautious than they were, but it’s a more appealing option than an IPO with the risk of a very public drop in valuation. Of the four unicorns that have listed in 2015 only one, Shopify, floated at a mark higher than its last private price, according to data compiled by TechCrunch. Of the 14 that have gone public since 2011, half have traded down since their IPOs. Meanwhile the number of U.S. private-market unicorns continues to rise. China’s members of the club face scepticism, too, but in pre-IPO markets. Private equity and venture capital appetites have cooled since the stock market crashed in June, with investments for October hitting $2 billion – just a third of the previous month’s total, according to Zero2IPO research, and down 30 percent year-on-year. The slowdown probably helped prompt October’s $15 billion merger deal between two group-discount website unicorns, Meituan and Dianping. And U.S.-style late-stage funding from established institutions like Fidelity is hard to come by. That means many of China’s startups may not have the option to stay private. They may not want to anyway, because public valuations are still high. The Nasdaq-style ChiNext board in Shenzhen trades at a whopping 84 times earnings and is up 92 percent this year. Regulators recently lifted an IPO ban, too. Funding scares will probably cause U.S. unicorns to shy away from IPOs, but the Chinese species may run towards them. This view is a Breakingviews prediction for 2016. Click here to see more predictions. Of 14 technology companies worth $1 billion or more in private markets that have gone public since 2011, 10 did so at valuations above their last private funding rounds according to data compiled by TechCrunch and updated on Nov. 24. Of the four so-called unicorns that floated in 2015, however, only one did so above its last private valuation. Half the 14 unicorns that have undertaken initial public offerings now trade at lower valuations than at their IPOs. China’s two most popular group-discount shopping sites, Meituan and Dianping, on Oct. 8 said they had agreed to merge.